“When I play, my joints stop hurting and I feel like a young woman,” explains Rejoice. 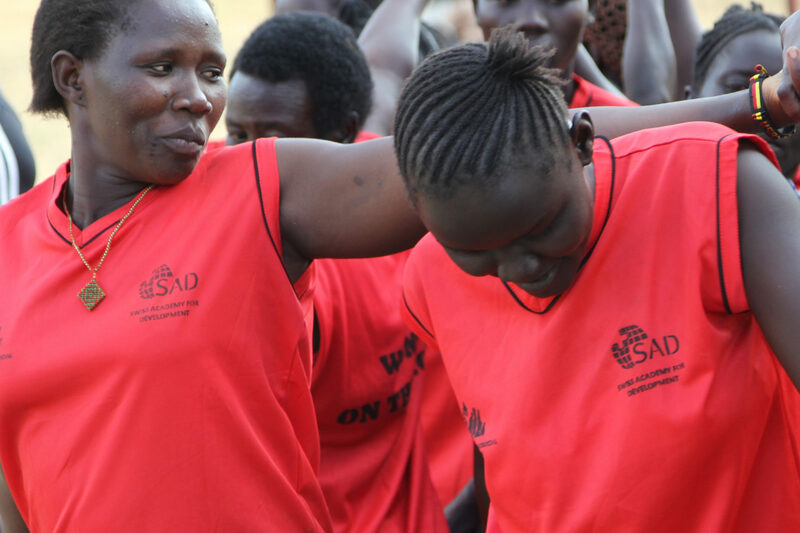 She is one of the 700 women who meet for sport in Kajo Keji, South Sudan. They process their war trauma on and off the playing field. 40 years of civil war, and renewed violence since independence, have left the population of South Sudan traumatised. Like Rejoice, lots of women can’t sleep, or struggle with constant pain and anxiety. Alcohol addiction and domestic violence are also common. With sport and play, SAD and the Community Psychosocial Support Organisation (CPSO) are supporting these women in coping with their past and present better. Playing football, singing and dancing all help the women to regain their self-confidence and their confidence in each other. Sport creates a basis for talking about sensitive issues like sexual violence. In addition to the sports grounds, the SSPP offers professional trauma therapy. The women talk about their experiences of war with advisors, and tackle problems that result from trauma, above all alcohol addiction and domestic violence. Husbands and children take part in these sessions too. The playing field is a school for daily life for the women. They learn to deal with conflicts or to work in a group – skills that many of them now use to ensure their livelihood. At their own request, the project participants have set up a savings group. They invest the money that they put aside in small businesses, for example as pig farmers or seamstresses.